Leadership disconnects – The leadership team should know which doctors are referring patients to specialists. Well-connected team structure enables educational conversation between leadership and care providers regarding overutilization, referrals to high-cost specialists, or the importance of sending all necessary documentation with every referral. Handling multiple EMR/EHRs – Large Enterprise Hospitals and Health Systems that are formed as part of mergers and/or acquisitions tend to handle multiple EMRs. EMR interoperability is their greatest challenge. 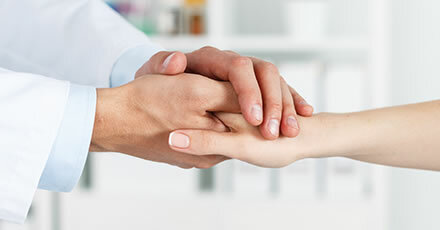 Finding the right specialist – A Large Enterprise Hospital has a huge number of specialists. PCPs are not aware of specialists who were newly added or who came within their network as a result of mergers or acquisitions. So many times PCPs tend to refer their patients out of their network in spite of having the right provider within the network. Patient no-show rates – When patients miss/forget or do not show up for appointments, it results in revenue loss for the hospital. Patients miss appointments due to various reasons like no reminders, waiting time, a better specialist within the locality, reputation of the receiving provider, etc. Referral leakage – Did you know? Referral leakage for any health system can average anywhere from 55-65%! Patient leakage or referral leakage occurs more in an out-of-network referral than in an in-network referral. There could be many factors such as the reputation of a provider, lack of knowledge or insight and patient’s choice that lead to patient leakage. Patient dissatisfaction – Large enterprise hospitals should keep track of the number of patients moving out of their network. An alarming 25 to 50% of referring physicians do not know whether their patients see the specialist! Patients become dissatisfied with the treatment when specialists or PCPs do not follow-up with them regularly. HealthViewX introduces a collaborative design that connects primary care providers with specialists on a single and uniform network. Electronically-connected specialists form a network of care collaboration, where both parties are responsible for the timely care of their mutual patients. End-to-End referral lifecycle management with bidirectional EMR/EHR Integration HealthViewX platform supports dynamic forms, workflows, task lists, reports, data visualization and has great integration capabilities. It can automatically pull referral orders from EMR/EHR in real-time. It also helps in configuring all other referral coordinator workflows and tasks with maximum automation. Multi-channel referral consolidation that brings all the referrals from multiple sources like email/phone/fax/notes into a single queue. Detailed referral information through which the Specialist receives all the necessary referral details. HealthViewX Patient Referral Management solution smooths the referral process and solves most of the inbound and outbound referral challenges for Large Enterprise Hospitals. Do you want to know more about HealthViewX HIPAA-compliant Patient Referral Management solution? Schedule a demo with us. This entry was posted in blog, Referral Management and tagged hipaa violations, referral, referral management, referrals on April 9, 2019 by Helena Nancy.